If you suffer from pollen allergies and live in eastern or western Japan, forecasters recommend starting treatment as soon as possible. This spring’s pollen season is expected to kick off in mid-February and peak in March across much of Japan, with allergy sufferers in Tokyo likely to experience the symptoms for the longest period, according to the latest projections by the Japan Weather Association. The airborne volume of cedar and cypress pollen in most areas would be more than the 10-year average, but roughly the same level or less compared with the previous season, the association said. In Hokkaido, the volume of white birch pollen is forecast to be less than usual and less than the previous season’s count. Last year, cypress pollen levels were elevated nationwide. Tokyo recorded the highest levels in the past 10 years — 4.9 times the 10-year average — the report says. This season’s levels are forecast to be lower, as the flower buds are not growing as much. 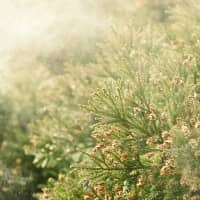 Cedar pollen dispersal is expected to start later than normal in eastern and western Japan because of higher-than-usual winter temperatures, possibly delaying the awakening of cedar male flowers, which produce the pollen, from hibernation. 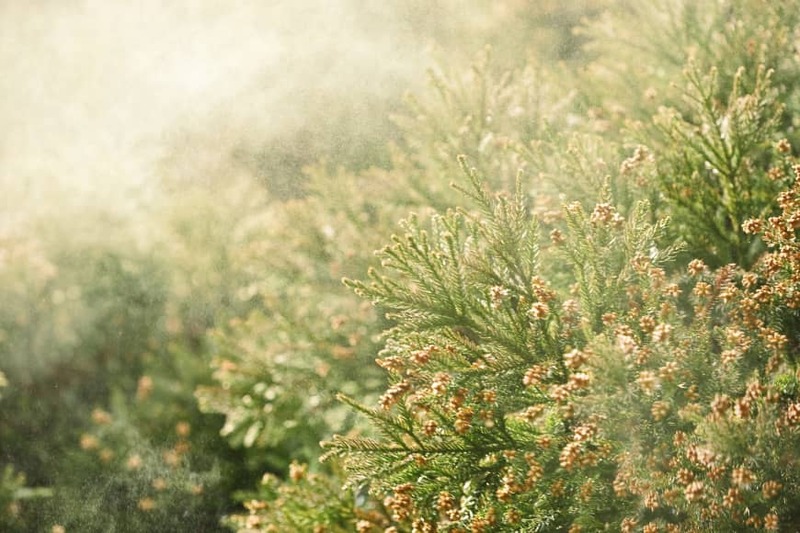 In the regions of Kyushu, Shikoku, Tokai and Kanto, the cedar pollen season is likely to begin in mid-February. The association suggests that hay fever sufferers in these regions start taking treatments by the end of January. “The pollen season could start earlier,” said Ayako Kato, the association’s spokeswoman. In northern Japan, the season is predicted to arrive between early- to mid-March. The cedar pollen counts peak in March in many areas, with the dispersal of cypress pollen following soon after. From Hokkaido to the Kanto-Koshin and Tokai regions, the pollen counts are projected to be 50 percent to 60 percent of last year’s, while the Hokuriku region is predicted to see 40 percent or higher, the association says. Akita Prefecture, meanwhile, is estimated to see quantities that are more than double those of last year. This is due to the fact that the prefecture observed low levels of pollen last year, so this year’s levels would not mark a sharp increase from the 10-year average, Kato said.